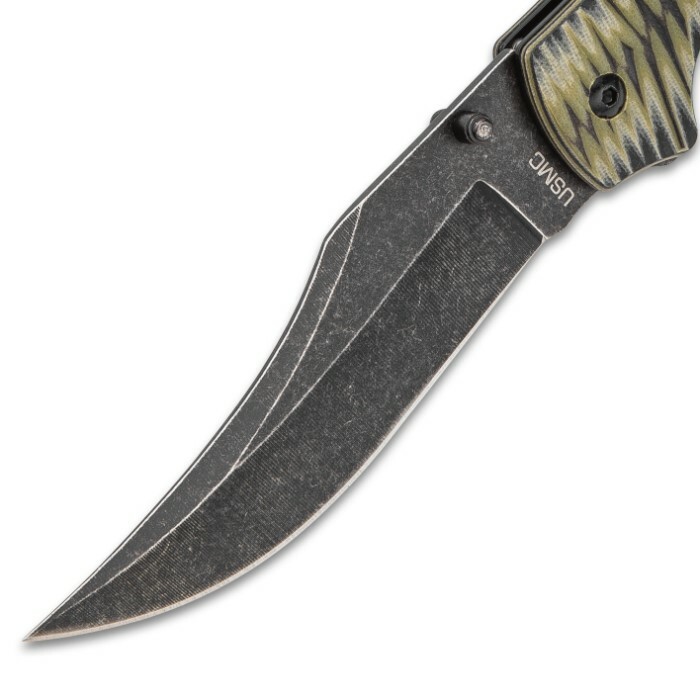 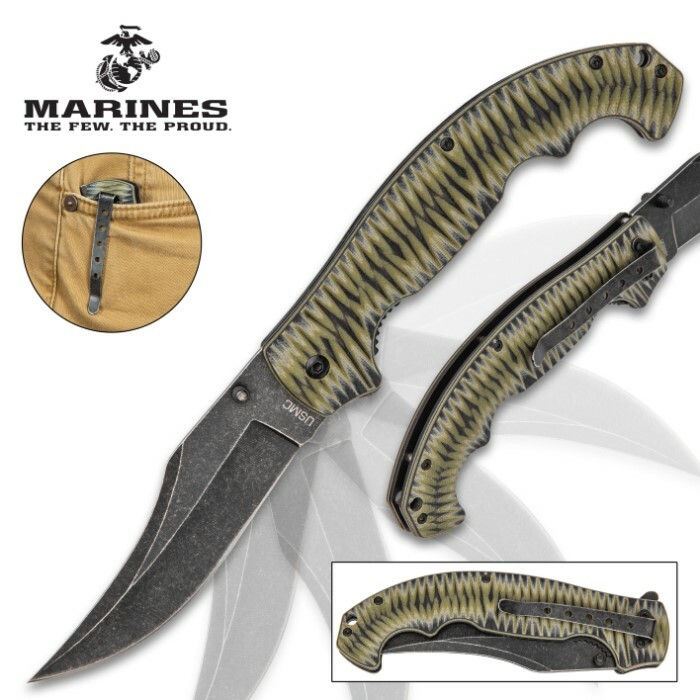 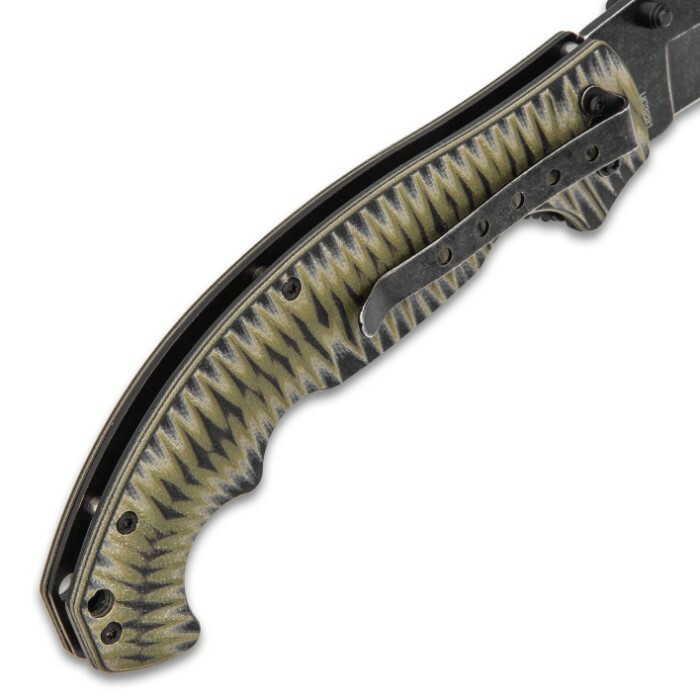 USMC Fallout Assisted Opening Tactical Pocket Knife - 3Cr13 Steel Blade, Grippy G10 Handle, Assisted Opening, Pocket Clip | BUDK.com - Knives & Swords At The Lowest Prices! 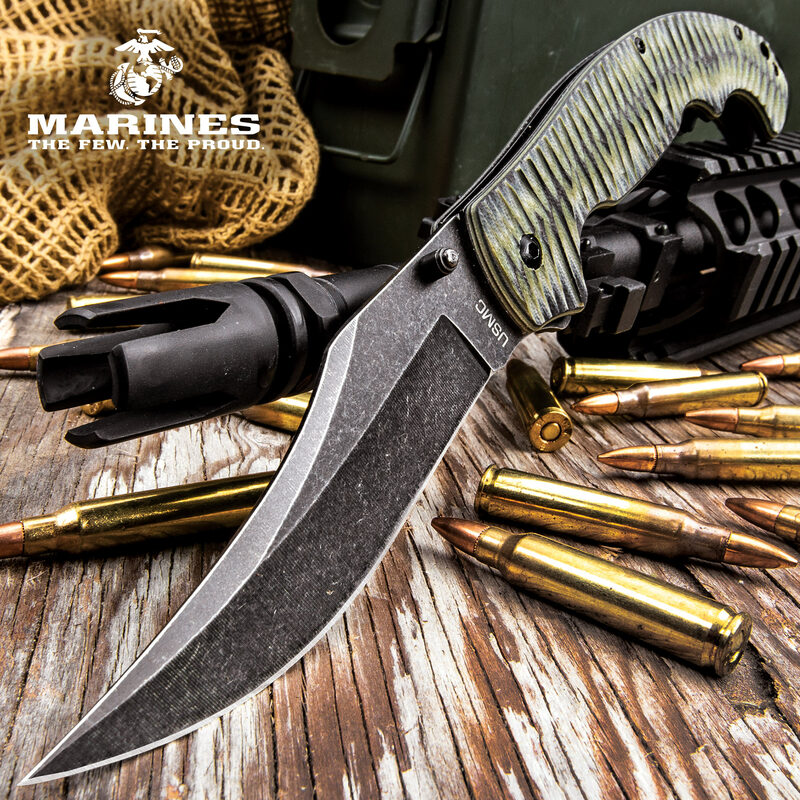 Officially licensed by the US Marine Corps, there’s absolutely no doubt that this pocket knife is Marine-tough to the core! The USMC Fallout Tactical Pocket Knife’s 4 3/10” blade is made of rugged 3Cr13 stainless steel and boasts a finely-honed edge, distinctive tactical profile and a stonewashed finish. 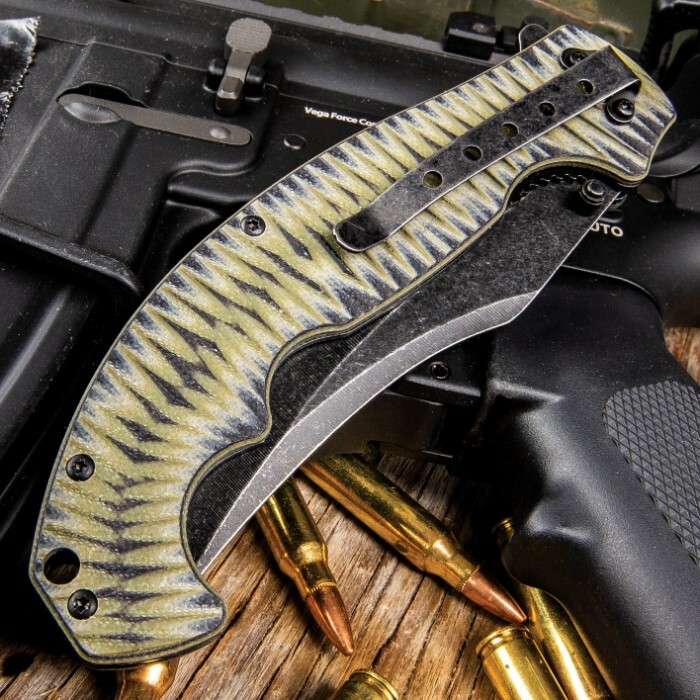 The advanced assisted opening mechanism and accompanying thumb studs and flipper, allow for fast, one-handed blade deployment. 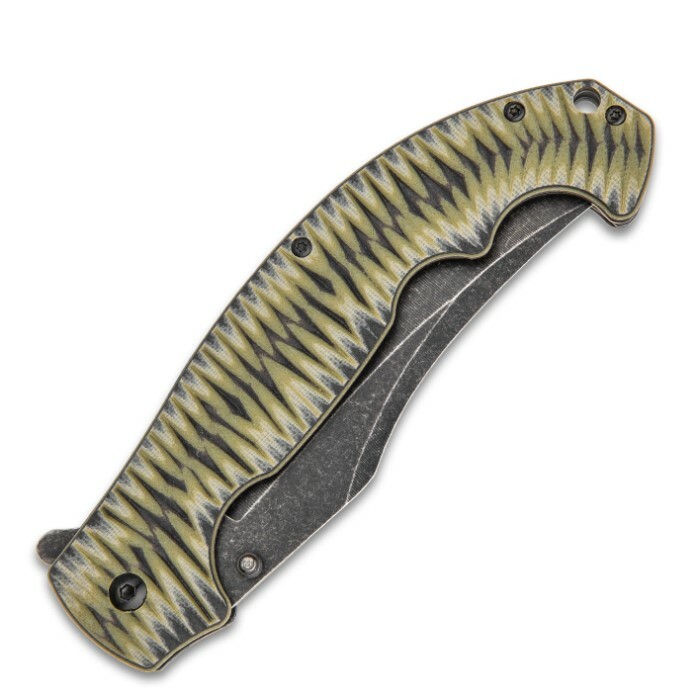 Ridges on the durable G10 handle reduce slippage, while well-placed thumb grooves and superb balance improve control and overall feel. 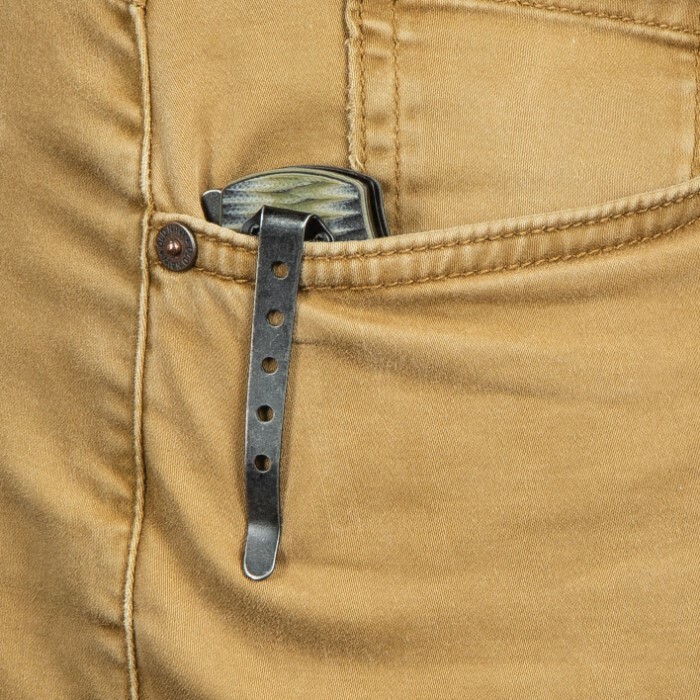 The stonewashed pocket clip with its USMC cutout gives you convenient carry options.